Houston Rockets coach Mike D'Antoni had no interest in hyping up Wednesday's game against the Golden State Warriors, despite Stephen Curry targeting the matchup as "an opportunity to send a statement". The Rockets have won nine consecutive games in the NBA, while champions the Warriors have lost six of their last 10 - including a reverse at the hands of Houston. Those contrasting runs have built anticipation ahead of this week's big clash and Curry added extra weight to that when he outlined Golden State's plans to halt the Rockets. But with Curry speaking after a defeat to the Phoenix Suns, D'Antoni joked that the Warriors might have been better off focusing on that game first. "Yeah, well, they should have probably said it before the game," he quipped. 9 WINS IN A ROW! 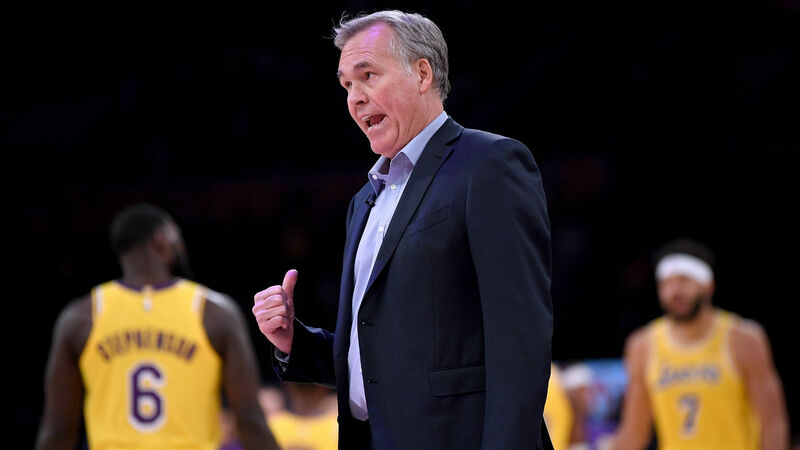 D'Antoni added that he was not overly concerned by any conversation around the meeting with Golden State, though, believing that there is a demand for such matchups to be needlessly talked up in the NBA. "I'm sure they are [wanting to send a statement]," he said. "Why wouldn't they? I'd be surprised if they didn't feel that way. "They were going to make a statement. They were going to come out, they were going to play. They probably stated the obvious. If they didn't say anything, I'm sure they're thinking it. "You know how today is. Everybody's got something to say. I've got something to say." Rockets star James Harden was similarly dismissive of the opportunity to talk about the Warriors after a 118-106 victory over the Charlotte Hornets. "I don't know how [the Warriors] feel," he said, having scored 28 points. "All I'm worried about is what's in this locker room."